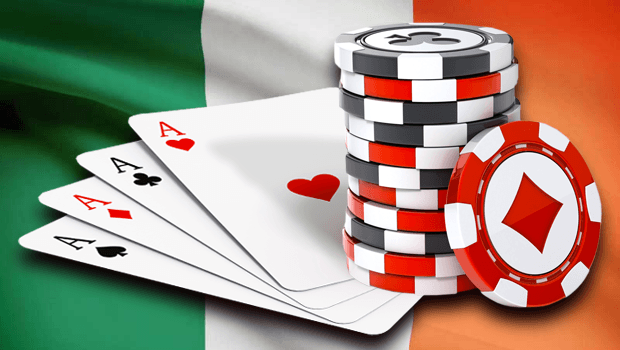 Ireland has always had a close association with gambling, and particularly sports betting. The sport that is probably most deeply entrenched in Irish society is horse racing. With more horses per head than any most countries in Europe, Ireland is the fourth-largest producer of racehorses in the world, with many of the top horses, jockeys and trainers hailing from the Emerald Isle. Horse racing is of course closely linked to betting, which is one of the reasons why placing a wager is so popular in Ireland. Let’s take a quick journey through the history of gambling in the country and look at some of the key turning points! Although historians have found some traces of gambling activities in Ireland during the Middle Ages, it was in the 17th and 18th centuries that it started to take root. There were two key factors behind this. The first was horse racing becoming more established as a sport, with race meetings and regulatory bodies being set up. The other driving factor was the re-establishment of English rule in Ireland. The nation was a British colony but it retained some degree of autonomy. Governance was largely left to the landlords who had seized land from the Irish Catholics, but they were more interested in making money than policing behaviour. This meant that gambling activity largely went unnoticed, with no real regulation around it. The Irish Free State was established in 1922 following the three-year War of Independence between the Irish Republican Army (IRA) and the British forces. Ireland now had an independent government and it soon set about beginning to regulate the growing betting industry. The 1926 Betting Act provided the country with its first proper piece of regulation around betting. The act, which was revised in 1931, stipulated that anyone taking bets on a sporting event would require a licence from the government. A major turning point came in 1956 with the introduction of the Gaming and Lotteries Act. If the Betting Act provided the framework for regulating betting in Ireland, this act 30 years later did the same for casino and lottery. In a nutshell, the act prohibited casinos from operating anywhere in the country, while only lotteries that were for a charitable purpose were permitted. However, a loophole in the legislation allowed many ‘private members’ clubs’ to operate gambling activities. These largely self-regulating clubs were effectively casinos in all but name, providing slot machines and table games. This gave the gambling industry in Ireland somewhat of an underground reputation. When you think of Ireland and gambling, the name Paddy Power probably comes to mind. The bookmaker was founded in 1988 in Dublin by the merger of three existing Irish bookmakers. Since then it’s gone on to become one of the biggest gambling operators in the world. The company is still headquartered in Dublin and is proud of its Irish heritage, with its green branding and quirky sense of humour reflecting the country’s character. With members’ clubs prevalent throughout Ireland and the start of the digital revolution in the 90s and early 00s, the Irish government came under pressure to replace the out-of-date Gaming and Lotteries Act with a modern system for regulating the industry. In 2013, parliament passed the Gambling Control Bill, which was designed to regulate rather than prohibit, as well as ensure fairness in the system and protect consumers against problems associated with gambling. All forms of gambling – both land-based and online – became legal and were brought under the same umbrella. The bill was good news for casinos as they were now legal again. Only 40 casino licences can be issued, though, and venues cannot contain more than 15 tables. The aim of this was to prevent Las Vegas-style ‘super casinos’ from forming. The bill also created a fund that used part of the tax revenue collected from casinos to finance programmes for problem gamblers. The new legislation also covered online gambling. Any online operator, regardless of where they’re based, must now have a licence to do business in Ireland and must also pay tax on their revenues. The subsequent Betting (Amendment) Act of 2015 did the same thing for online bookmakers and betting exchanges. Thanks to the new legislation of recent years, Ireland now has a licensing regime for the modern age. Operators can succeed in a fair and regulated market, while Irish punters can continue to enjoy the age-old tradition of having a flutter.